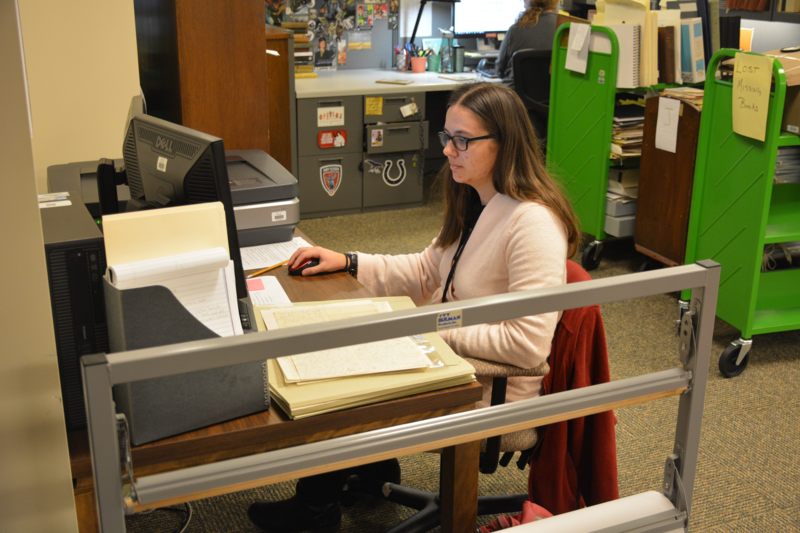 Meet one of the newest Indiana State Library interns, Julia Deros. Julia is originally from Cockeysville, Maryland and went to Gettysburg College, where she graduated with a bachelor’s in environmental studies and history. Dual degree in library and information science and public history. I am an intern with the Rare Books & Manuscripts Division. I really enjoy getting to work with documents from different time periods and helping visitors access history for their research. I hope to one day work as an archivist, so this internship is a great experience for learning new skills and ways of thinking I’ll need as I start my career. The “Lord of the Rings” trilogy. Finally, the best place to eat in Indy? This entry was posted in Rare Books & Manuscripts and tagged intern, Interview, lord of the rings, panic at the disco, Rare Books by indianastatelibrary. Bookmark the permalink.